There is a reason I will always pick up the new book by Laura Kasischke on the day of release - I know I'm in for a treat of a story. Of course, that story always takes place in a world that resembles ours, but always just enough to the left or right of normal to make it questionable whether it really is ours or not. My first experience reading Laura Kasischke was her novel, The Life Before Her Eyes, and I've been hooked since. Mind of Winter opens Christmas morning, and Holly has just awoken from a nightmare and fragments of a thought that something had followed her and her husband back from Russia all those years ago when they had adopted their daughter, Tatiana. Even after her husband leaves to get his parents from the airport and Holly is rushing to prepare Christmas dinner for the in-laws, the thought never quite leaves the back of her mind. As the day progresses and a blizzard moves in that makes travel impossible, Holly is stuck at her house, alone, with her now teenaged daughter Tatiana, whose rebellious nature is more evident today than ever, even bordering on erratic. As Holly tries to piece together the puzzle of her fragments of memory and dream, she is also trying to reconcile what is happening to her daughter right before her eyes, and what it all means. The book seemed a little slow at first, and in places I'd found myself hoping that the pace would pick up soon, but as I read on, I understood that the book needed to be paced that way. Holly's morning was spilling out as uneventful but hard to deal with, and we were feeling that right along with her. As her world begins to spin ever so slowly out of her control, the pace quickens, so that we're feeling pulled right along with her. Kasischke clearly knows her art and uses it to its maximum potential here. I used to constantly try to figure out where Kasischke's books are going, but I've learned over the years to just let the story carry you with it, and all will be revealed. Kasischke is a master of language and using language to convey a simultaneous feeling of normalcy and dread in her writing, again giving the feeling that everything in her books could possible be happening in the real world, right now, outside our window. It always ends up being so much more than that, however, as she's also unnerving us as readers at the same time, so that we are feeling a growing sense of unease right along with her characters. We know, just like her characters, that something isn't quite right, but we can't put our finger on where that unease is coming from any better than her characters can. Mind of Winter is Kasischke at her mind bending best, right up to the last page. I can't recommend this book enough. I read it in one sitting, finishing at 2am, which helped give the book an even better flair as Holly begins to feel more and more cut off from the outside world, and the world outside my window was becoming more and more cut off with the passing hours of the morning. Finishing, I wanted to go back and reread portions, so see where hints could have been dropped throughout the book to what was ultimately happening in Holly's world, but I felt I needed to let it sit, giving me time to ponder the story and its mysteries. 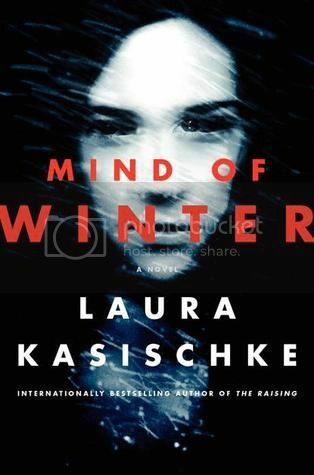 Kasischke cements again the need for me to pick up her next book on release day, as she has hit another home run with Mind of Winter.